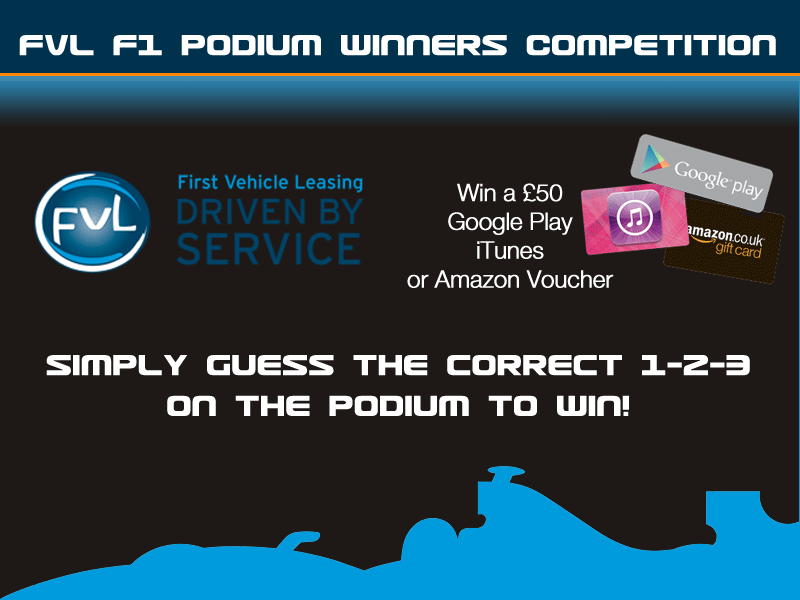 Remember that, as with every Grand Prix this year, you can enter our FVL F1 Podium Winners Competition to win £50 of vouchers if you correctly guess the podium. Click here to enter by adding your prediction – full terms and conditions here. Without doubt the most glamorous race of the year in F1, Monaco is a street circuit where a moment’s inattention will put you into the barriers and end your race. Any accident is almost guaranteed to bring out the safety car, unless the sprightly Monaco marshalls can lift your car off the track double-quick, a feat they are renowned for. This year, with the new specification torquey cars not able to choose gear ratios that are specific to a track, it’s likely that the slippery behaviour and sudden power slides that can be forgiven on normal circuits could cause serious problems for even the best of drivers around the tight and unforgiving streets of Monaco. Mercedes may not dominate, the pundits said in advance of the race. 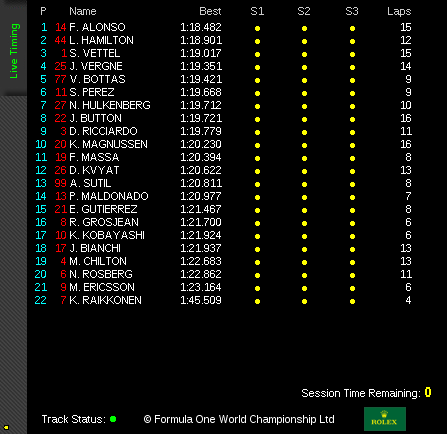 But it didn’t look that way in first practice, with Hamilton and Rosberg topping the time sheets. However, after a period of rain, which dried up on the track fairly quickly in Practice 2, things were shaken up considerably in limited running, with Ferrari’s Fernando Alonso putting in the fastest time, more than half a second ahead of his nearest competitor. Team-mate Kimi Raikonnen was out of luck with a gearbox problem leaving him stuck in 3rd gear, although a gearbox change won’t incur any grid penalty as it’s a gearbox used for practice. Lewis Hamilton gained second place, with Vettel 3rd, followed by Jules Vergne’s Toro Rosso and then Bottas in the Williams, followed by the two Force India cars. Rain is not expected over the weekend, and as is the tradition, there’s no running on Friday in Monaco, allowing more time for the serious Monaco routine of partying and people-spotting on yachts. Saturday’s qualifying took place in brilliant sunshine, with the final running order not containing too many surprises, but it was not without controversy. 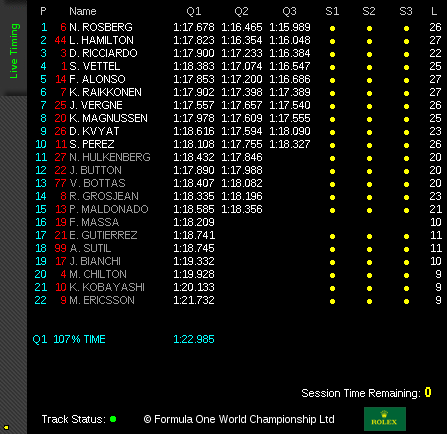 Nico Rosberg was swapping fastest times with Hamilton in Practice 3, and the pattern continued in Qualifying. The final session ended with Rosberg causing a yellow flag by running off the track at the escape road at Mirabeau as the clock ran to zero, forcing Hamilton and a number of other runners to back off in that section, thus ending their chances to improve their positions on final flying laps. At time of writing, stewards are investigating the incident, but for my money, this was just a misjudgement as Rosberg was pushing very hard to get a podium. As it turned out, his mistake gave him the podium, as his previous lap was also a flyer. The issue seems to be more focused on how and when Rosberg reversed back onto the track – which may have prolonged the yellow flag period. What does seem clear from post-qualifying discussion is that Mr Hamilton is not well pleased with the situation. So it looks set for some race, with the Red Bulls the next most competitive, but still off the pace, followed by the Ferraris. Toro Rosso performed well here, with Daniil Kvyat doing especially well to recover from losing his car’s nose in a tank-slapping slide coming out of the tunnel in Q1. 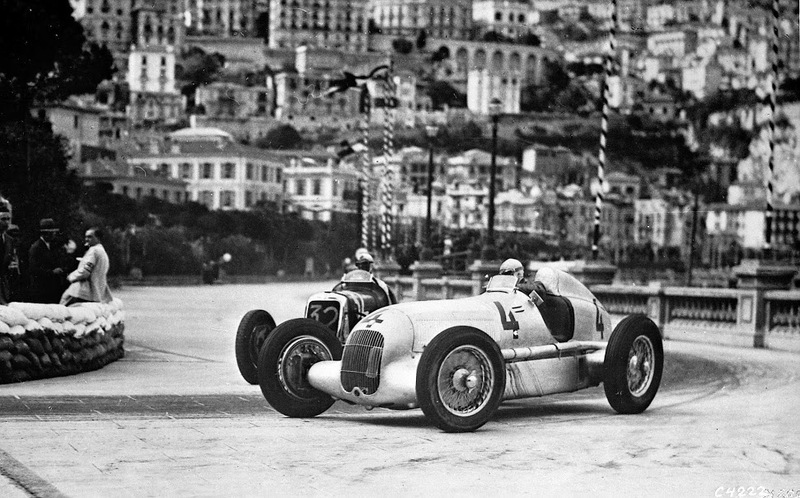 This entry was posted in Formula 1, News and Views, Sports Car and tagged F1, formula 1, formula one, Formula One Driver, Monaco, Monaco Grand Prix by David Petherick. Bookmark the permalink. An entry from Twitter, but no winners for this race. See you in two weeks in Canada.